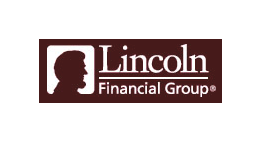 Lincoln Financial Group recently celebrated their 100th anniversary. Way back in 1905, President Lincoln’s son, Robert Todd Lincoln, gave The Lincoln National Life Insurance Company permission to use the Lincoln name based upon the strength of its commitment to integrity. In fact, he even sent the Fort Wayne, Indiana-based company a photograph of his father to use on its letterhead. Today, that tiny company has grown into a diversified financial group managing over $100 billion in assets. Its life insurance products continue to be issued through the flagship company, The Lincoln National Life Insurance Co., with the integrity and honesty personified by its namesake.